Gotta love how Japanese players didn't give a damn about the previous Spider-Man games, yet jumped on this one like crazy. Times sure have changed (definitely not a bad thing)! Hot damn GoW sold 46k in Japan in its first week. Hohoho! That's some super impressive number! Double the YSO prediction! 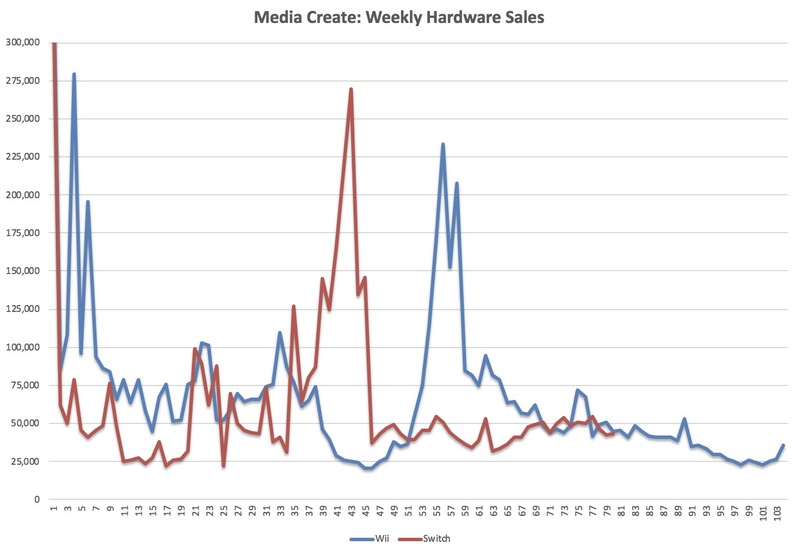 Crazy good from Spiderman, surprised PS4 sales didn't get a boost from it! That's pretty crazy. Spidey sold mighty fine! Good for Spider-Man but an overall underwhelming week. Spider-Man with a great debut. 200k lifetime in the cards? I'm so happy for Insomniac finding all this success. Spider man really is the right game at the right time. Snk Heroines though, heh. I'm hoping more people will turn out for SamSho. The Switch version of SNk selling half of much despite nintendo’s Obnoxious over promotion seems bad. 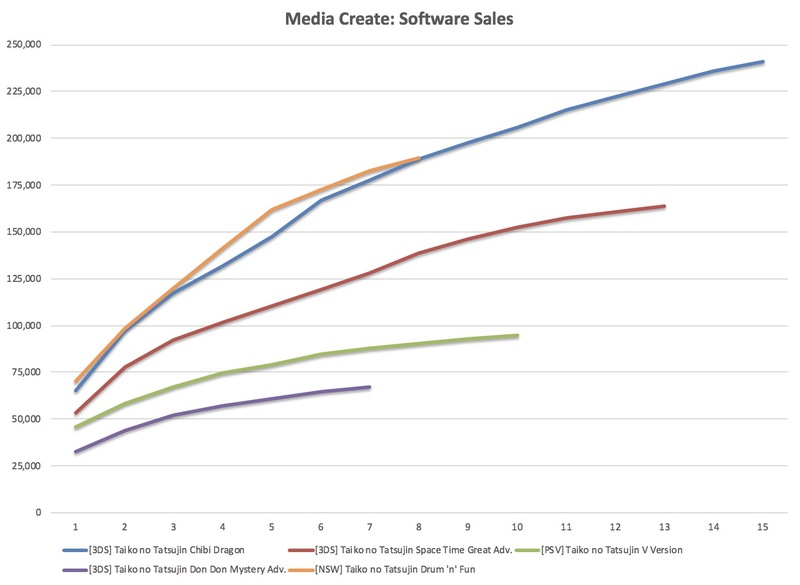 Japanese sales have definitely changed regarding western games this gen.
Nice for spiderman. Flat hardware. Difference between SNK Heroines' platforms is smaller than I thought. So apparently the previous best launch for a Spider-Man game in Japan was a Nintendo DS release from 2005 : 5.977 at launch and 22.588 LTD.
At this time Spider-Man is still king on Amazon.jp despite the new games that have been set up for preorder after the PlayStation pre-TGS show, hopefully a good second week. A good opening for Spider-Man but it didn’t seem to have much of an effect on hardware. Damn, Spidey already above my prediction for its full month sales(120K). Could finish with close to 200K sales this month with a good hold next week. What do you want them to mix it to? I recommend having some coffee. XB1 98.975 - 1025 more! Switch is boring. Anything of note before Mario Party? Good lord Spider-Man annihilated those predictions. Well done. 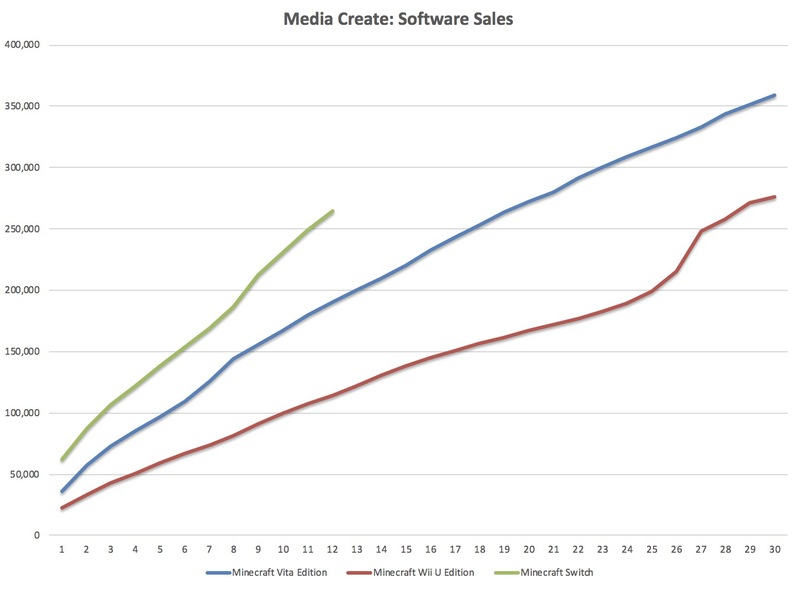 noticeable, but I don't think these numbers will keep the PS4 up YoY. 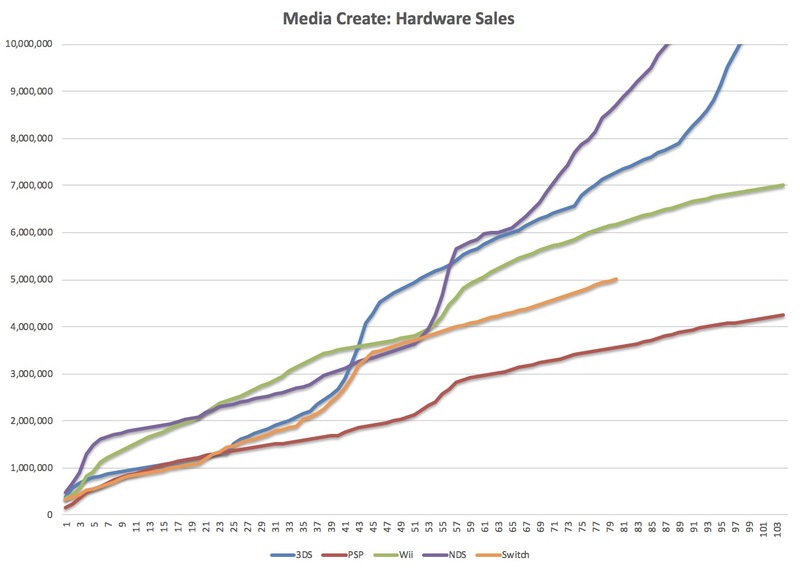 At some point seasonal demand will boost sales, I don't think Mario Party will move much hardware per se. Spider-Man went viral on twitter before its release. Good opening for Spiderman, went well beyond expectations. Winning eleven working its way up to 100k. Switch evergreens continuing to sell. Weak opening for snk heroines. 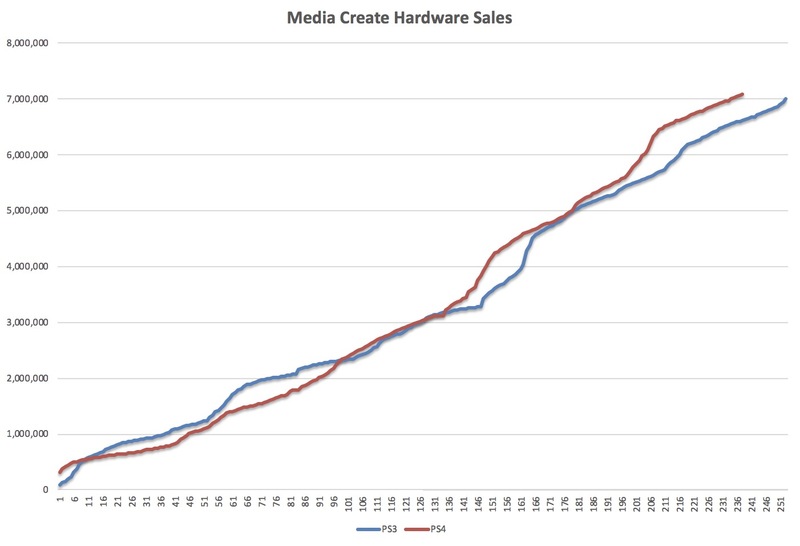 Both switch and ps4 hardware saw a slight increase. Overall average week but Spiderman had a standout opening. Nice job with Spider-Man numbers Sony and Insomniac. I hope it has some legs. Would be amazing if it can do 200k+ in the current console climate. Infact it's going down YoY. That Spider-Man number is insane, and it seems like the game deserves it for sure. 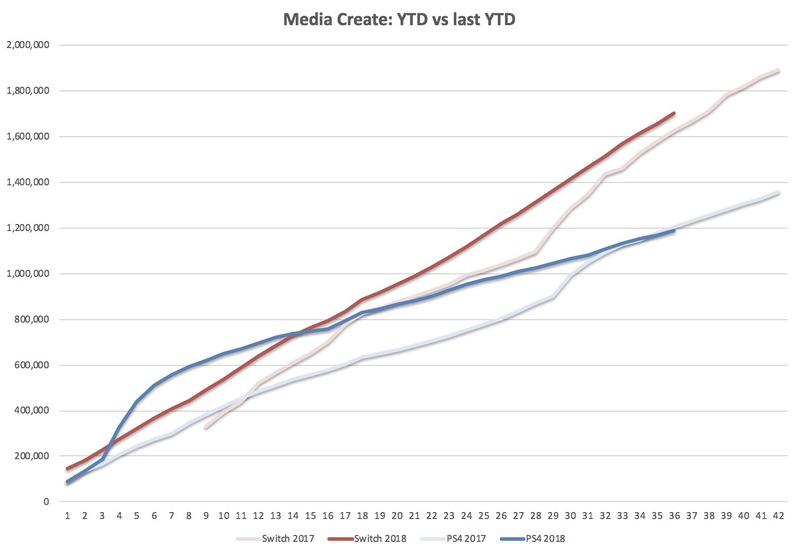 BotW passes 1.1m and Splatoon 2.6m. Can’t stop, won’t stop.